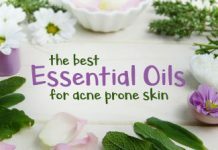 In your quest to find ever more effective ways to deal with your acne, you have probably encountered many different products. Some of these sound like they come straight of a chemistry set, and one such active ingredient is Salicylic Acid. Now, you might sense some alarm bells going off when you hear the word acid. 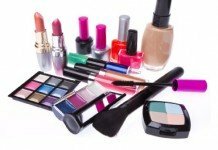 Especially since you would be applying it to skin that is already damaged and extremely sensitive. 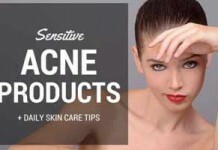 However, Salicylic acid has been used in various forms of acne treatment for many decades. Where it has shown to be most effective is in the form of a facial peel which literally helps to remove damaged skin and ultimately boost the production of new skin cells. Your initial concern about the use of an acid is indeed warranted. When it comes to using acids, it all comes down to the concentration in the right and safe amount. To help you work out how to best use these products in a safe and effective way, we have put together this detailed blog post. We also provide you with some recommendations to make sure you find the best possible products. What are its benefits? 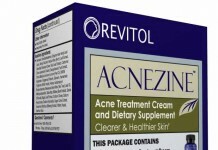 Does it work for acne? It is suitable for your skin? Are there any risks? 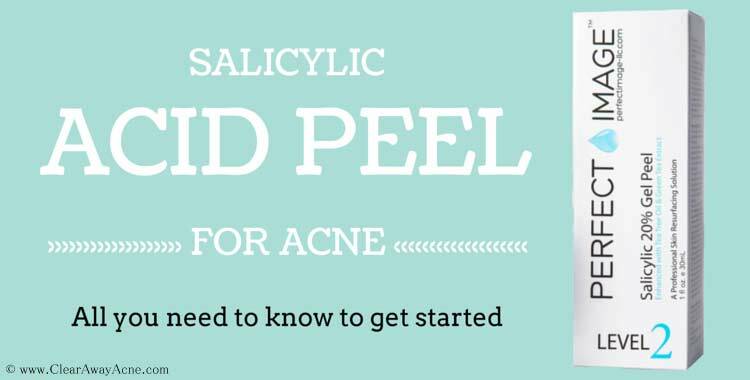 How to use salicylic acid peel for acne. 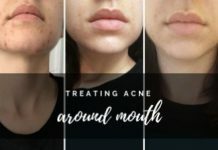 How frequently should you do this treatment? Post salicylic acid peel skin care. It is a type of treatment which employs salicylic acid as exfoliator on your skin. The word peel here literally means that it peels off the dead, damaged surface from your skin and let the new, healthier skin take its place. What sets apart a “chemical peel” from ordinary OTC products is the concentration of the active ingredient. The concentration of salicylic acid in chemical peels typically ranges from 10% to 20% or even above that. 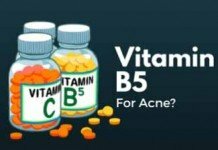 Whereas it is only .5% to 2% in over the counter acne treatments that are salicylic acid based. 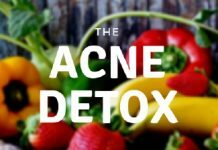 Is Salicylic Acid Peel Good For Acne? Having keratin dissolving (keratolytic) properties, salicylic acid is excellent at shedding dead skin cells from the surface of your skin and deep cleansing your pores to prevent clogging. 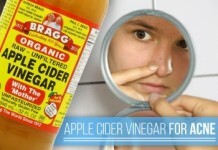 Opening blocked skin pores and diminishing blackheads and whiteheads. 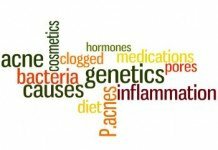 Reducing inflammation, and eventually pimples, pustules and papules. Eliminate excess oil from your skin. Specialized salicylic acid peels can also be very effective for acne scars. Fading wrinkles and fine lines, and improving overall skin texture. 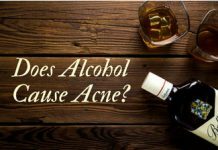 These are some of the core reasons why salicylic acid is an integral ingredient in all effective over the counter acne treatment systems out there. 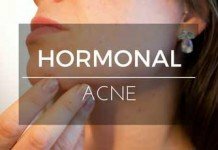 One of the most important steps you can take before going for this acne treatment is to decide whether or not is it suitable for you. You’re allergic to aspirin – as salicylic acid is from the same family of chemical compounds. You have a sensitive skin. Even OTC salicylic acid products (which are only about 10th of the concentration of a peel) can be over drying and irritating to sensitive skins. 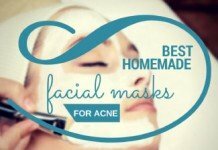 Salicylic acid is indeed one of the best options for oily skin acne treatment. When you’re just starting out, 10% or at most 20% peel is what you should go for. Even if you’re confident that your skin will tolerate greater concentration, it’s good to start low. 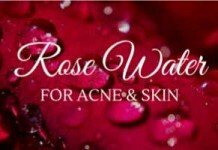 You don’t want to run the risk of drying out or irritating your skin excessively. But doesn’t low concentration of salicylic acid peel mean lesser effectiveness and delayed results? You might wonder. Well, greater concentration DOES mean that you’ll get more dramatic and faster results. But it DOESN’T guarantee your skin’s safety, at all. Unless a qualified physician has decided to do it for you, never go for salicylic acid peel above 20% concentration. An equally effective but rather safe approach is to go for multiple sessions of low concentration salicylic acid peels – like one or two sessions every month of 10-20% peel. And the best part is that you can do this type of peeling yourself at home. If you’re a complete beginner, you’ll need to understand the complete process of chemical peel treatments before you start off. Before you start the chemical peel, you’ll need to prepare your skin for it by applying a prep solution (OTC alcohol 70% or acetone). This prep solution clears your skin off oil, fats, dirt, or grease that may affect your peel’s effectiveness. In the second step you actually apply the chemical peel on your skin. 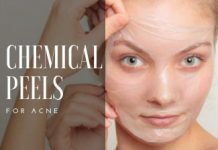 The concentration, duration, and frequency of your chemical peel depend on a lot factors I’ve discussed earlier in this post. But I highly recommend you start off with 10 or at most 20% salicylic acid peel as it’s considered to be safest. The peeling agent will peel your skin for as long as it stays on your skin. But you only want to allow it for a few minutes on your skin (for starters, only 1 minute is recommended). Being an acid, the chemical peel can be made inactive by splashing or spraying your face with a neutralizing basic solution. Although, readymade neutralizing agents are available on the market, a neutralizing solution can be made at home by mixing ½ tablespoon of baking soda with 2 cups of water. And this solution works perfectly fine. Chemical peels usually make your skin dried and sensitive. So, as the final step of your chemical peeling session, you need to moisturize your skin to avoid stinging, burning, or irritation. 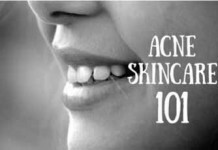 So, you need to have a good quality moisturizer for acne prone skin to go through this step. Cleanse your skin with your regular face wash or cleanser and pat dry. Soak a cotton swab into the rubbing alcohol (prep solution) and apply it all over your face. This is important to let acid peel work at its best. Now take salicylic acid peel in a small bowl, and carefully apply it on your skin (avoiding eye, tip, and other sensitive areas) by using a fan brush. If you don’t have a fan brush, you can use gauze pad, but be sure to wear gloves if you do so. You should’ve started the timer right after your first stroke. After one minute, you now want to remove salicylic acid peel from your skin. Splash or spray your face with the neutralizing solution for at least 1 minute. Make sure it reaches all areas of your face so that the peel gets completely neutralized everywhere. Once you’ve done that, wipe it off your face with a soft cloth. Don’t panic if it feels hot on your skin, this is normal. Just keep splashing your face with cool water until it calms down. Now, you just need to apply a good quality moisturizer on your skin. And you’re done. The peel can quite possibly induce burning sensation on your skin. You can keep a fan close to your skin to keep it cool. But if it gets intolerable during your 1-minute application, remove it right away. Salicylic acid peel causes stinging or tingling on your skin, which is normal and it usually subsides within 30 seconds or so. If it gets seriously out of your hand, immediately remove the peel from your skin. Your skin will become sensitive for a few days after the treatment. There might be irritation, redness, or dryness. Just keep using your moisturizer. Stay away from harsh scrubs or any type of exfoliation procedures. You need to be as gentle with your skin as possible in the first week of treatment. Avoid sun exposure for the best of your skin, at least for the first week. If you need to go outdoors anyway, DO NOT forget to wear a good quality sunscreen for acne prone skin. 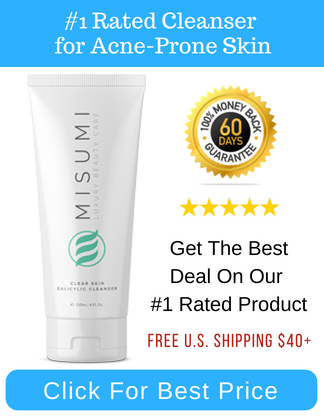 Do You Need More Salicylic Acid Peel Sessions? Analyze your skin after going through this treatment. It generally takes a few weeks until you can see considerable improvements. Most of the time, just one session of salicylic acid peel is all what you need. 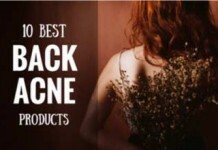 Your skin should be free of blackheads and whiteheads. There may be little to no pimples, papules, or pustules. 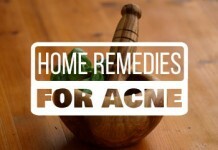 There may also be improvements with acne scars, wrinkles, or fine lines. If you haven’t achieved these results, you may another peeling session. 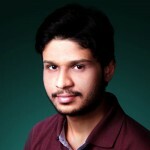 But how frequently should you go for it is highly dependent on your condition. There can’t be a general plan that fits for all. Decide by yourself wisely: Can your skin tolerate another chemical peel? Is it really needed? And to maintain results and prevent more acne, a peel once every month is all what you need. Over the counter salicylic acid peels are easily available on the market. You can also order them on amazon. Salicylic acid peel kits: These are all in one kits including prep solution, peeling agent, and neutralizing spray in one convenient package. Just salicylic acid peel: Alternatively, only peeling agents are also available. There’s nothing wrong in buying just salicylic acid peel – as you can always prepare prep and neutralizing solution at home (and I’ve shown you above how). 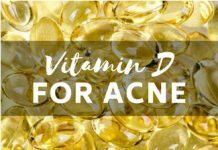 That brings us to the end of this comprehensive post on salicylic acid peel for acne & skin care. If you have any questions regarding this topic in your mind, don’t hesitate to ask in the comments below!